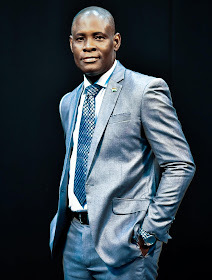 CypressGHANA.COM: JOT Agyeman Is The New Host Of GTV’s Talking Point! JOT Agyeman Is The New Host Of GTV’s Talking Point! Ghanaian ace Television Executive and Broadcaster JOT Agyeman is set to be the new Host of the Longest running Talk Show on Television, 'Talking Point'. The show has over the years been the driving force for discussing policy and for shaping public agenda. In recent times, and with the influx and proliferation of Television chat shows, 'Talking Point' seemed to have lost steam especially with the youth. JOT Agyeman comes to the show with almost 20 years of Broadcasting and Media experience having worked at GTV, TV3 and e.TV Ghana where he was General Manager. The Award winning Programs Director is presently the Executive Director of Research Company, Institute of Media Practice. The all new 'Talking Point ' is set to hit the screens in a few weeks.